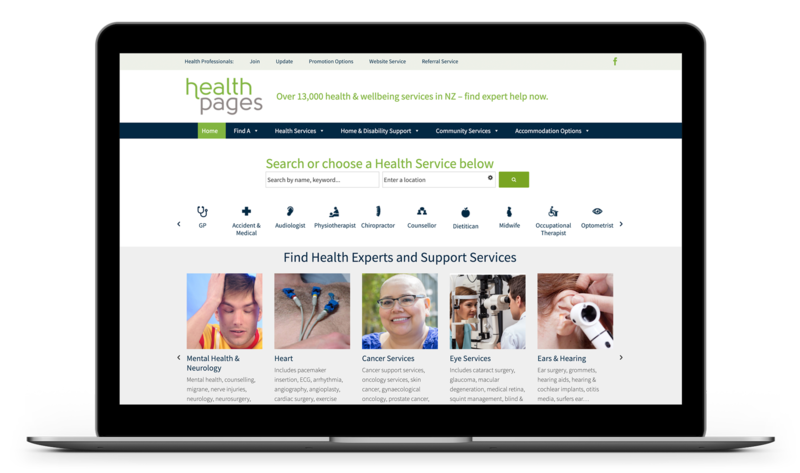 Healthpages is NZ’s most comprehensive site of NZ health services and professionals. 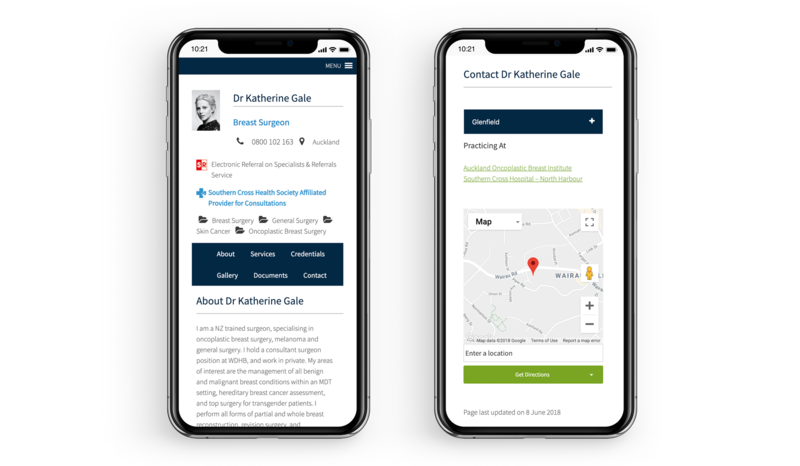 GP’s and practice staff often refer patients to Healthpages for more information on services. Features health professional photos, special interests and the full range of service’s they provide. Device Responsive, Geo-Search by your location. Healthpages is the source health professionals rely on when referring patients. Healthpages also identifies specialists who have Urgent Appointments Available and are Southern Cross Affiliated Providers for Consultation. With related services grouped, Healthpages makes it easy to find help that you may not have known existed. I have to be impartial – with the book I can show people the range available and point them to the healthpages.co.nz website to make their choice.